Thanks for supporting NUMA, a 501c3 non-profit organization. 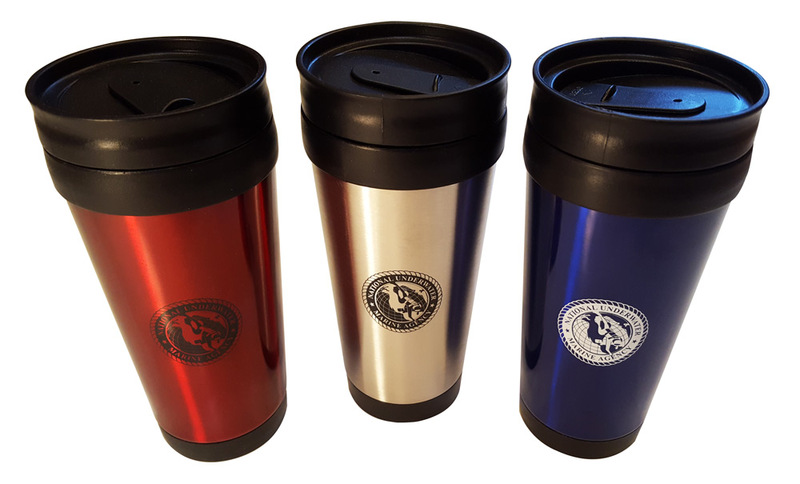 When selecting item, you are actually making a tax-deductible donation in the amount indicated under each item. The items you select are sent to you as gifts. Its our way of thanking you for your donation. 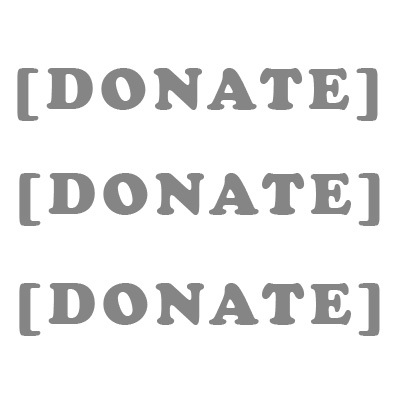 If you would simply like to make a donation to NUMA, simply select your donation amount (available in $1 increments). NUMA Baseball style cap. 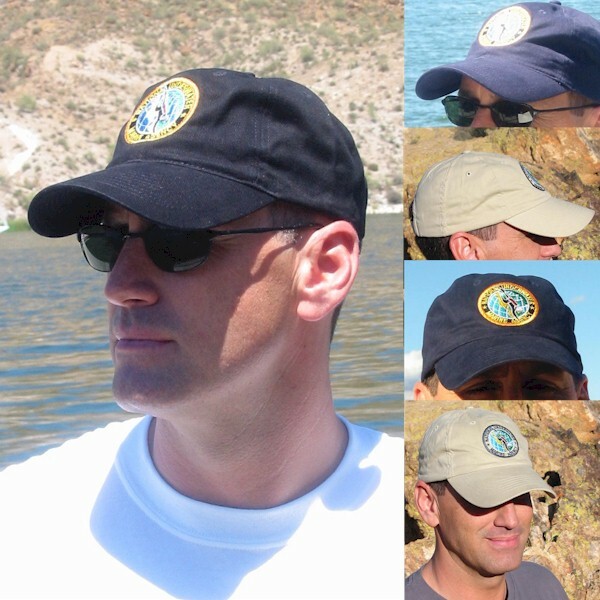 Hats are six panel cotton twill, adjustable velcro strap. Your cap is available when you make a $28 donation to NUMA. This is a structured cap it has a higher more traditional front. The logo is larger measuring 3 inches across. NUMA Baseball style cap. 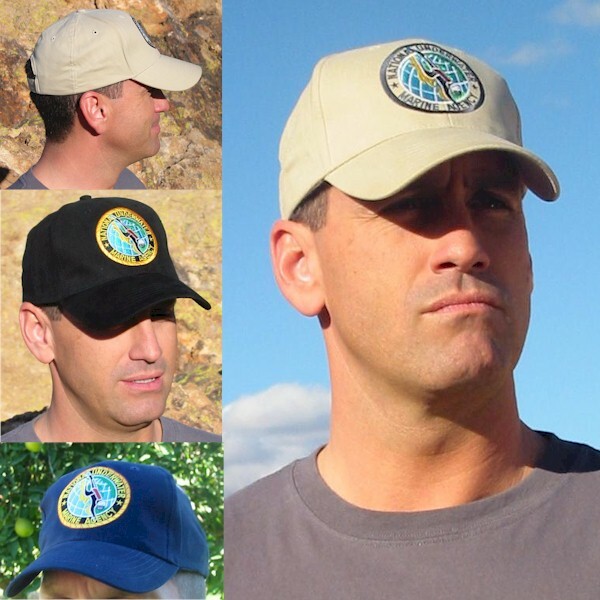 Hats are six panel cotton twill, adjustable Velcro strap. Your cap is available when you make a $28 donation to NUMA. The logo is smaller approximately 2 1/2 inches across. This hat has a lower front and a more rounded profile. NUMA Polo Shirt with the NUMA Logo on the front. Available in Navy Blue XL. 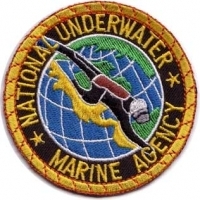 Numa Patch is same design as the NUMA logo. 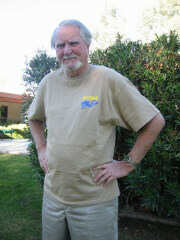 These Tee’s celebrate NUMA’s search for The General Slocum. 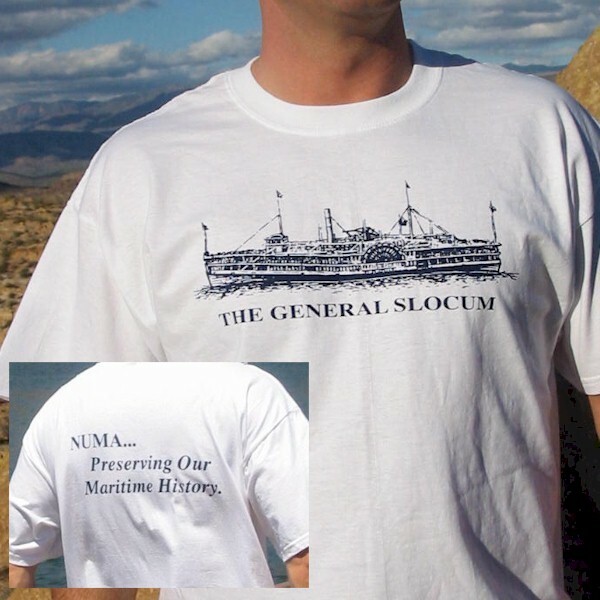 As with all of our commemorative T’s it has “NUMA… preserving our Maritime history” printed on the back with pictures of the General Slocum on the front; all shirts are white, 100% cotton. 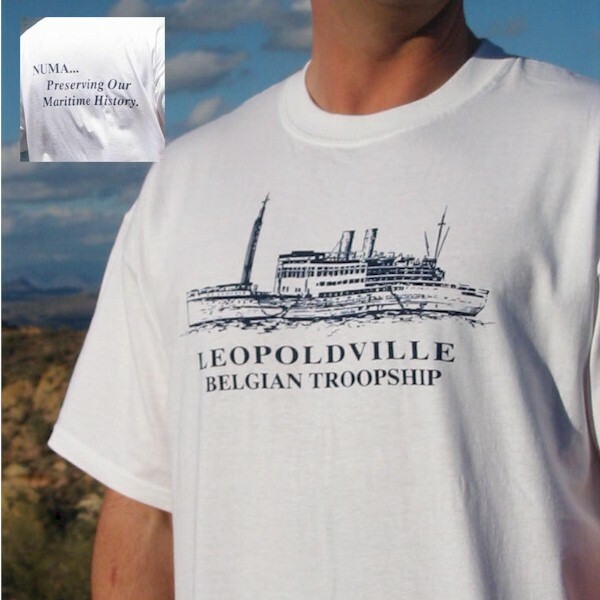 This T-shirt commemorates NUMA’s successful search for the The Leopoldville. 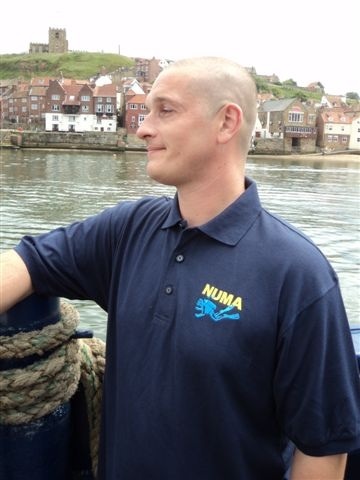 “NUMA… preserving our Maritime history” is printed on the backs with pictures of the ship on the front; the shirts are white, 100% cotton. 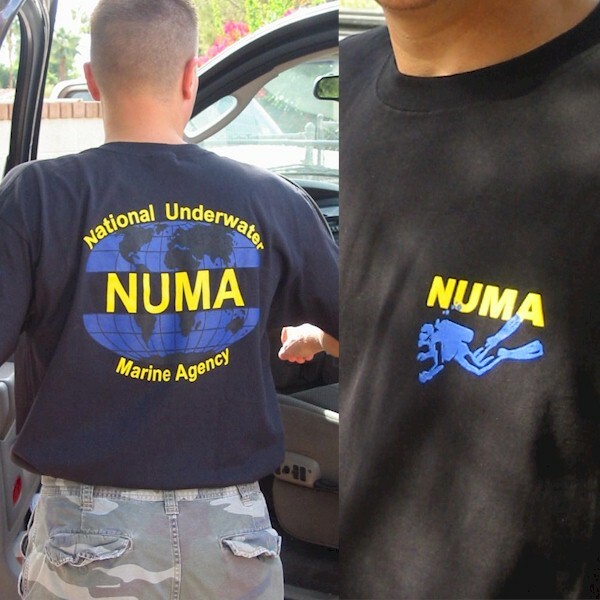 NUMA with Diver graphic on Front, National Underwater and Marine Agency and Globe on Back. Wine Gift Bag with NUMA Logo. Wine is not included.